For Brother Tomer Kornfeld (Brooklyn 2017), AEPi has brought a sense of purpose, an outlet for giving back and, most importantly, family. Tomer fought back by committing himself to working hard for his community and for Israel. After graduating from Yeshivah of Flatbush High School in Brooklyn, he enrolled in college and began a series of volunteer roles, working for the Jewish community. “I was interning at the Israeli consulate in Manhattan and Prime Minister Netanyahu had come to speak at Conference of Presidents event. I ended up talking with Andy Borans and he told me that I should get involved in AEPi because we share a lot of the same commitments. 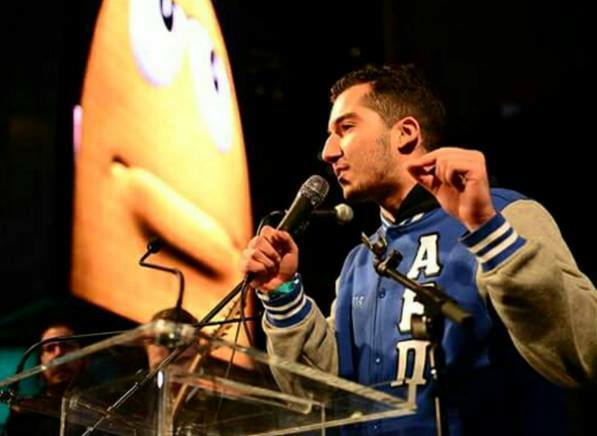 That’s where this began.” He has since served the Phi Theta chapter at Brooklyn College as the philanthropy, education, and Israel engagement chair. Brother Kornfeld has served as a Jewish education specialist at Mark’s JCH in Bensonhurst, Brookly, a predominantly Russian-Jewish camp – for a couple of years. Two summers ago, Tomer worked in Tel Yehudah, the leadership camp of Young Judaea where he worked with 16-17 year olds and helped develop their passion for Judaism and Israel He has also worked at Havurah, a camp that focuses on Russian-Jewish teens in order bring Judaism and Israel into the lives of those teens who have been separated from this aspect of their lives. Tomer also led BBYO Panim El Panim seminars, which are leadership-focused seminars and lobbying missions to Washington with his high school. Brother Kornfeld is currently the StandWithUs New York Campus Liaison and was a member of the first ever Hillel International Student Cabinet.